Flash memory cards consist of large numbers of individual cells, each of which contains a set of transistors. Under normal circumstances, current flows between the transistors and into a drain. When a charge is applied to one of the transistors, the current flow gets blocked. The amount of current passing through the cell effectively flips it from a one to zero, allowing for the storage of binary data. The state of each individual cell of flash memory is maintained when the power is removed, allowing these devices to store data in the same way a hard drive stores information. However, each cell can only be "flipped" a set number of times before it wears out, so flash memory cards have a finite lifespan. The system's built-in error correction shuts down cells that lose the ability to store data, effectively reducing the available storage space on the device. These controllers also attempt to level the wear on the device by writing to cells that have been used less frequently, preventing an uneven loss of storage. 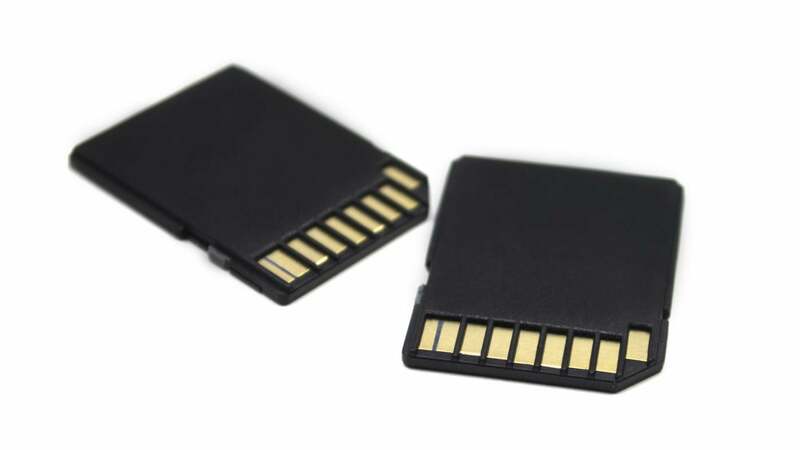 There are multiple types of flash memory storage, including SmartMedia cards, CompactFlash cards, USB flash drives and even solid-state drives that effectively mimic the performance of a traditional magnetic hard drive. How Do Most Flash Drives Work? What Is a Hypermedia Database? Is a Megabyte or a Gigabyte the Larger Measurement? How Do You Make Sign Language Flash Cards? How Do You Use a Flash Drive?